An LNG export facility has never before been built in a residential area. It’s just across a two lane road from homes where families live. It’s an insane idea! It has the proven potential to be highly explosive, and therefore extremely dangerous, and it will contaminate the air residents breathe. Yet it is on a fast track for approval, undergoing an inadequate Environmental Assessment (EA) that will not address the true health and safety risks to nearby families. One of reasons that Dominion is getting away with the LNG export terminal is the massive amounts of money it has for ads everywhere touting that Dominion Cove Point is safe and good for the economy. Big bucks for advertising (along with buying elected officials) account for how the natural gas industry has been getting away with the idea that natural gas is “clean.” It’s not clean at all. Not even close. Wind, solar and other forms of renewable energy are clean. Yet the natural gas industry will not own the profound, irresponsible damage it is causing. The industry clearly favors profits over the risks and impacts to our precious natural resources, to public health, to people’s lives. This has been driving me crazy. Those of us who are trying to stop the contamination of our water, air, atmosphere, soil and food don’t have deep pockets for advertising to get the truth out about fracking. With little in my pockets and a whole lot of frustration, I created a YouTube ad. 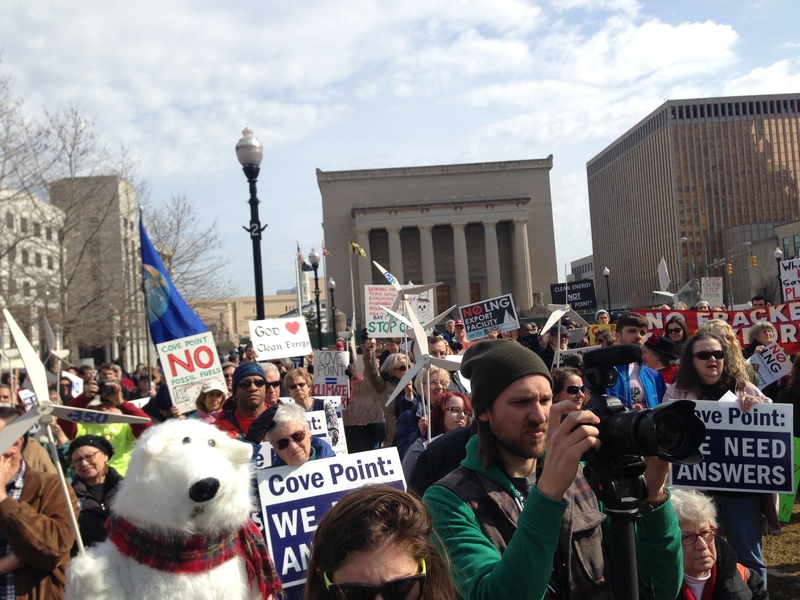 I want it to reach the moms who haven’t had time to take in what fracking and Cove Point are all about; the horribly toxic impact fracking is having on our children and their future. Renewable energy is our only way forward, and the sooner we embrace it the better. Moms and parents and all who care about children and future generations need to know the truth about fracking, before the gas industry lays down a whole new level of infrastructure for natural gas exporting that will be active for decades to come. Got a minute and a half to take a look at the ad? Share it if you feel compelled. Maybe it will have an impact on someone new. On this Earth Day, I thought it was worth a shot. P.S. Try Ethical Electric to begin your switch to renewables! 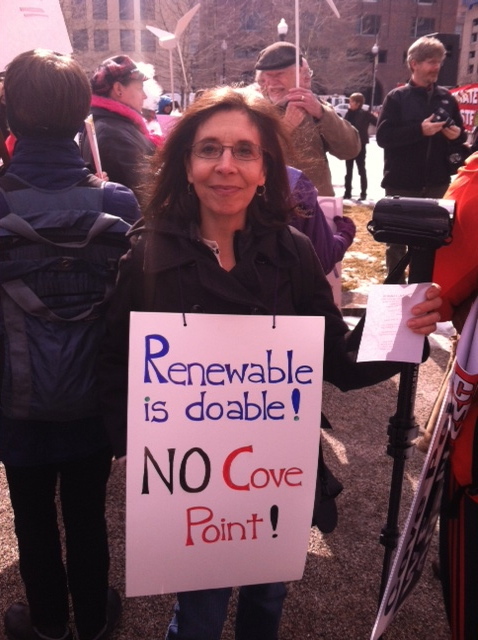 Learn more about Dominion Cove Point’s LNG export terminal by going to StopCovePoint.org. This entry was posted in Clean Energy, Dominion Cove Point LNG Terminal, Fracking. Bookmark the permalink. a down-to-earth eco-glancer. 4 bullet points, 1 green topic & why it matters to you. Here’s the link, Green Laurel! https://www.youtube.com/watch?v=KwGzVgLoCCM. I’m looking forward to getting back to writing. And more video. Hopefully making points that need to be made! Thank you for posting this, Lisa! It’s a beautifully written essay that gathers so much information (and emotion) together to convey a message that is both complex and at the core, very simple. Thank you from all your friends out in western Maryland’s shale fields. We are ever grateful to all who are taking a lead on this issue! Glad you saw this, Nadine! And thanks for your thoughtful words. You know my heart is with all of you, and I will continue to find new ways to communicate about these issues we know matter so very much.